Blackstone Hunting offers some of the most relaxing and classic upland game bird hunting eastern Nebraska has to offer. We specialize in custom designed outings catered to serve each individual member or group hunt. Whether it's a corporate group outing for 15 or just a family member and yourself walking through our well manicured fields, you can be assured every detail of your hunt will be memorable. We have over 240 acres of rolling hills and creek bottoms filled with mature burr oak timber. All of our hunting fields are mowed into strips with numerous food plots making your outing an adventure. There is no better dog training situation possible to start a new hunting partner or polish up your master hunter for the season. We pride ourselves on providing the best game birds available. 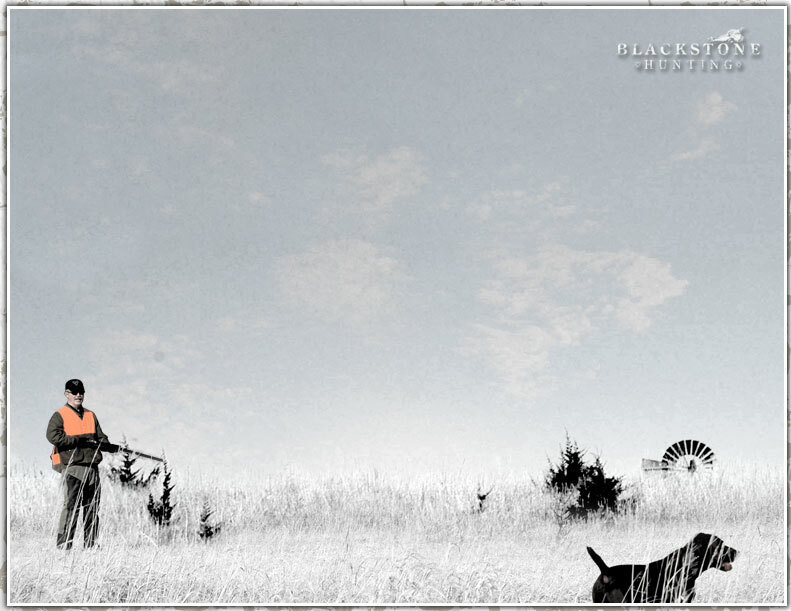 Blackstone has been outfitting for over seven years gaining experience in a numerous amount of hunting adventures. From our waterfowl hunts in western Nebraska's famed Platte River Valley, to the fertile dove fields of Cordoba Argentina; we can put together the wing shooting trip of a lifetime! To get more information on becoming a member or enjoying a single guided hunt of your choice contact Brad Wells at brad@blackstonehunting.com.